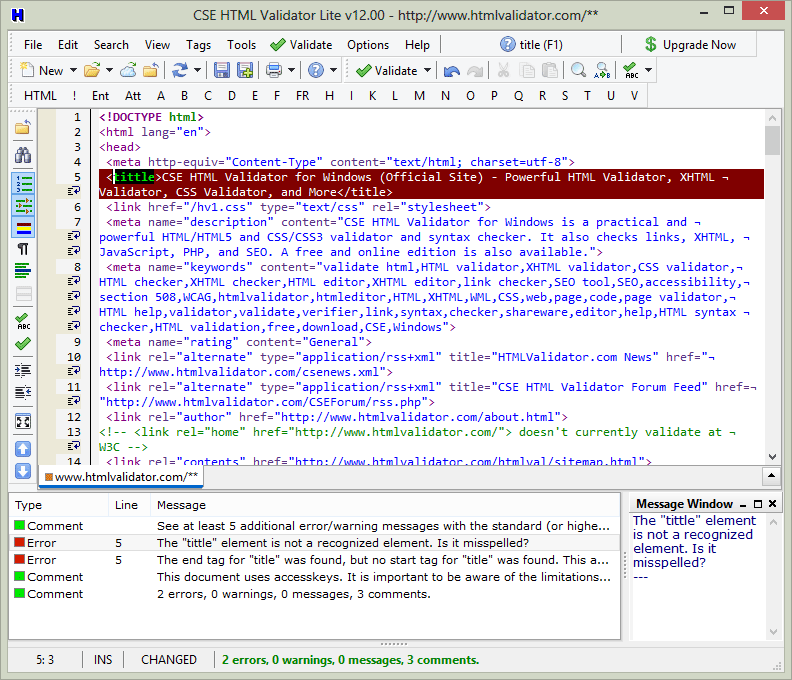 CSE HTML Validator Lite v12.01 RELEASE is now available. This is the FREE* edition of CSE HTML Validator. *CSE HTML Validator Lite is free for personal or education use only. It is NOT free to use for business, government, or any for-profit use unless paired with a paid license of CSE HTML Validator Standard or CSE HTML Validator Professional with the same major version number (like 11.0, 12.0, etc.). If you have a 12.0x version installed, then simply install the v12 update over your current installation. If you have a previous version installed (like v11.02), then we recommend that you uninstall it first, then install v12. Terrific! Really useful tool in my everyday routine! Than you guys! I totally recommend this soft! two thumbs up! A MAJOR NEW RELEASE is now available, CSE HTML Validator Lite v11.0! Looks sweet. I've been using the ww3 schools site to check my code. This makes it much easier and has a lot of functionality for a lite version. A MINOR UPDATE for v11.00 is now available, CSE HTML Validator Lite v11.01! This is a recommended update for anyone using any previous version of the lite edition. May I know what has changed since the update? Is it a security fix, new feature, or ? Last edited by walter2 on Tue Oct 23, 2012 12:58 am, edited 1 time in total. A MINOR UPDATE for v11.0x is now available, CSE HTML Validator Lite v11.02! It's mostly minor feature enhancements and bug fixes. You may want to try it out. You can use it for free until January 31, 2013. Thank you very much, simple and immediate than w3schools I like it! A MAJOR NEW RELEASE is now available, CSE HTML Validator Lite v12.0!